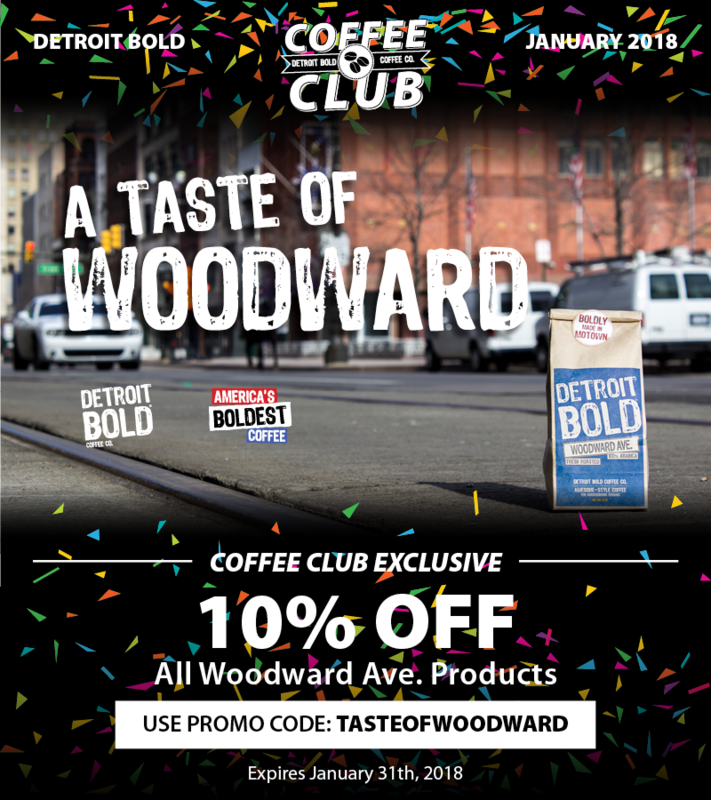 You’ll save an additional 10% on Woodward Ave. fresh ground or whole bean and single serve Keurig-style cups. 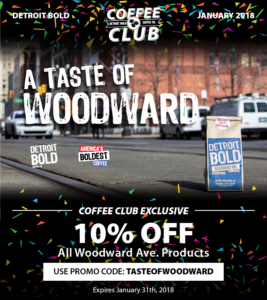 And while you’re at it, sign up to our COFFEE CLUB for monthly emails and special deals! Whether you design it, build it, fix it, grow it or clean it up, be BOLD my friends……Detroit Bold!